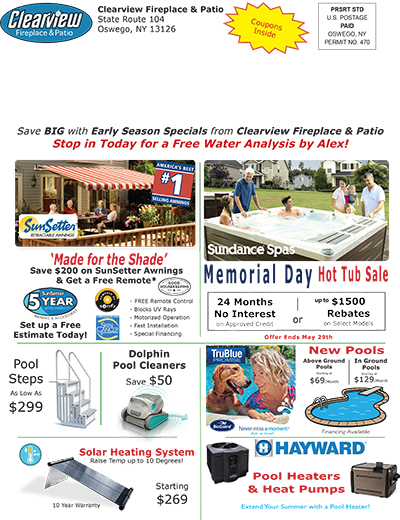 Clearview Fireplace & Patio offers In Ground & Above Ground Swimming Pool Chemicals, Supplies, & Accessories. This Year we have are putting our Early Season Pool Mailer here so you can print your own. It has more coupons inside than ever before. 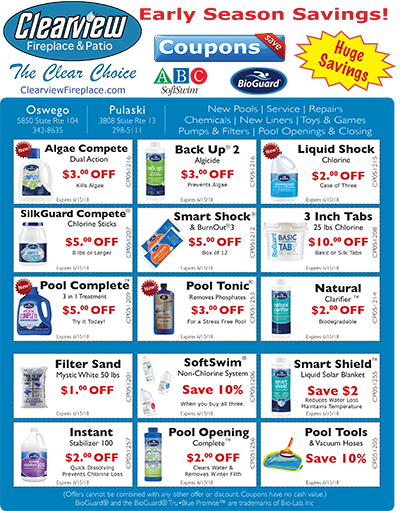 Print it out & Stop in Today! 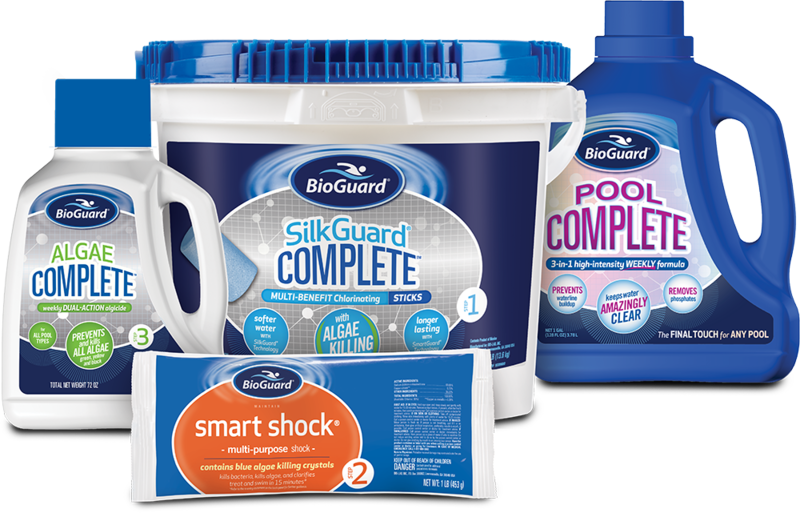 Protect your pool with BioGuard® Pool Care Systems. BioGuard® Care System has three important parts that help you maintain crystal blue sparkling water. Products that are part of the BioGuard Care System will have the BioGuard Care System badge. All other products will have a when to use badge, such as As Needed or Test and Add. It is important to balance your pool water at the start of the season to give your pool water the foundation for a trouble free summer. Balancing your pool water makes you sanitizing chemicals work better & to protect you liner & equipment. Consider that your Pool Spends more time closed then it does open. So It makes sense to Protect it all year round. So stop in today with a water sample and get your Free Water Analyses & Computerized Print out. Our well trained staff can help you have your water clean, clear & ready to close up in no time!. If you own a swimming pool, then you know how many memorable moments you’ve had there with your family and friends. But you may also recall missing a moment due to a sudden outbreak of algae or the mysterious appearance of cloudy water. Purchase at least one qualifying product from each of Step 1, Step 2 and Step 3 PLUS Pool Complete™. Register for the BioGuard Tru•Blue Promise™ with Clearview. 2) Purchase at least one qualifying product from each of Step 1, Step 2 and Step 3 PLUS either Pool Complete™ or Optimizer Plus®. 3) Register for the BioGuard Tru•Blue Promise™ with Clearview.